The annual World Ocean Day (June 8) is designed to draw attention to the severe threats oceans are facing, from melting ice caps to overfishing. There is a host of events across the month — including the launch of Google’s new underwater Street View — designed to raise public awareness about environmental ocean damage. In the interests of focusing attention and support on this area of conservation, the Blue Marine Foundation and Boat International are to give an annual award for ocean champions – celebrating those who have come together to research, find solutions to or publicise the ocean’s problems. The winners will be announced later in the year. In the meantime, we have compiled a list of the biggest threats to the ocean – liberally sprinkled with the names of the ocean champions who have been working to conquer them. 1 — Pollution Great strides have been made in addressing dumping of toxic and radioactive materials, but there are still seas with significant pollution. Major oil spills periodically cause major incidents. We still depend on the ocean to dilute agricultural and sewer runoff. Most importantly, the ocean is the world’s largest “sink”, absorbing about half of the CO2 created by burning fossil fuels. How we manage the ocean can increase that natural absorption rate. A ban on trawling below 610 metres along the continental shelf from the north of Scotland to Ireland could save a million tonnes. The annual World Ocean Day (June 8) is designed to draw attention to the severe threats oceans are facing, from melting ice caps to overfishing. There is a host of events across the month — including the launch of Google’s new underwater Street View — designed to raise public awareness about environmental ocean damage. In the interests of focusing attention and support on this area of conservation, the Blue Marine Foundation and Boat International are to give an annual award for ocean champions – celebrating those who have come together to research, find solutions to or publicise the ocean’s problems. The winners will be announced later in the year. In the meantime, we have compiled a list of the biggest threats to the ocean – liberally sprinkled with the names of the ocean champions who have been working to conquer them. Great strides have been made in addressing dumping of toxic and radioactive materials, but there are still seas with significant pollution. 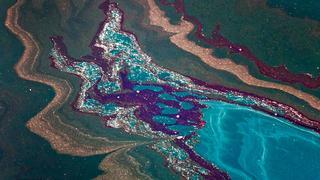 Major oil spills periodically cause major incidents. We still depend on the ocean to dilute agricultural and sewer runoff. Most importantly, the ocean is the world’s largest “sink”, absorbing about half of the CO2 created by burning fossil fuels. How we manage the ocean can increase that natural absorption rate. A ban on trawling below 610 metres along the continental shelf from the north of Scotland to Ireland could save a million tonnes. Plastic debris revolves around gyres in the world’s oceans: two in the Pacific, two in the Atlantic, one in the Indian Ocean. One of the unanswered questions is how minute particles of plastic, which collect chemicals from the sea, affect the marine food chain. How serious is this problem? What is clearer is its scale. On one beautiful Cornish beach, a local group called Rame Peninsula Beach Care picked up 576,664 pieces of plastic. Pirate fishing is a large component of overfishing, causing estimated losses to coastal states of $10 to $23 billion annually. Illegal fishing is as much as 40 per cent of the catch in some fisheries. The Environmental Justice Foundation investigated IUU fishing and a “yellow card” was shown by the EU Commission to South Korea, Ghana and Curaçao in 2013. Pirate fishing is a large component of overfishing, causing estimated losses to coastal states of $10 to $23 billion annually. Illegal fishing is as much as 40 per cent of the catch in some fisheries. The Environmental Justice Foundation investigated IUU fishing and a “yellow card” was shown by the EU Commission to South Korea, Ghana and Curaçao in 2013. Coral reefs cover less than 0.25 per cent of the world’s oceans but are home to a quarter of all marine life, containing up to two million species. It is estimated that more than half the fish have disappeared from most coral reefs. Reefs would take on average 35 years to recover even if restrictions on fishing were imposed immediately, according to Nature magazine. There was relief for the Australian government earlier this month when the Great Barrier Reef was not placed on the “in danger” list by UNESCO heritage experts but several environmental charities still reiterated concerns about the reefs future. Coral reefs cover less than 0.25 per cent of the world’s oceans but are home to a quarter of all marine life, containing up to two million species. 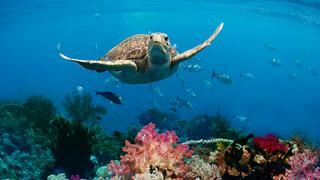 It is estimated that more than half the fish have disappeared from most coral reefs. Reefs would take on average 35 years to recover even if restrictions on fishing were imposed immediately, according to Nature magazine. There was relief for the Australian government earlier this month when the Great Barrier Reef was not placed on the “in danger” list by UNESCO heritage experts but several environmental charities still reiterated concerns about the reefs future. The PH of the sea has remained stable for 60 million years; now it is changing as a result of the build-up of carbon dioxide in the atmosphere. Wind and wave action interact with CO2 creating carbonic acid and making the oceans more acidic. What is more hotly debated is how this will affect the survival of animals with carbonate shells, for example mussels, lobsters and plankton. The puzzle is that many animals with shells evolved millions of years ago when the ocean carried more dissolved carbon dioxide than today. This is a comparatively new area of research. Some 28.8 per cent of the world’s wild fish stocks are estimated by the UN Food and Agriculture Organization (FAO) as overfished. About 61.3 per cent are said to be “fully fished.” That means 90 per cent of the world’s wild fish are either fully or over-exploited. Some scientists believe the position is worse than the FAO lets on. For instance, small wooden fishing vessels catching squid off Morocco and sports cruisers carrying recreational fishermen off The Bahamas are left out of the official figures. Prof Daniel Pauly of the University of British Columbia will soon finish a huge project to estimate the actual annual harvest from the world’s fisheries. 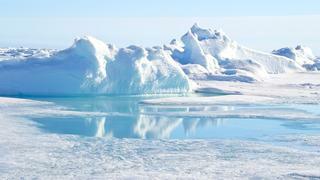 Average temperatures in the Arctic are rising twice as fast as they are elsewhere in the world. The shrinking Arctic ice cap is a problem for polar bears, but it is also introducing species new to the region such as mackerel and Arctic cod and could in theory increase the amount of human food available. There is a need to manage fishing in waters that were formerly under the ice for most of the year. 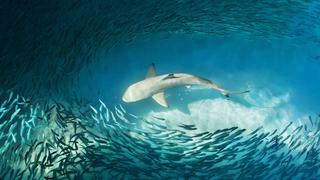 The oceans’ last wild places are no longer protected by their remoteness. The world’s fishing fleets can now venture almost anywhere including the waters around Antarctica. 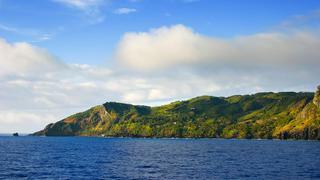 Thankfully, some remote places are being protected as marine reserves. President Obama declared a vast reserve around the Pacific Remote Islands last year and George Osborne, the British Chancellor of the Exchequer, this year announced the intention to create the world’s largest continuous reserve around Pitcairn in the Pacific. Marine reserves are also needed to protect waters nearer to where most people live. Fish – wild and farmed – provide more than 4.5 billion people with at least 15 per cent of their intake of protein. Fish contribute both to the income but also to the food security of 10 per cent of the world’s population. 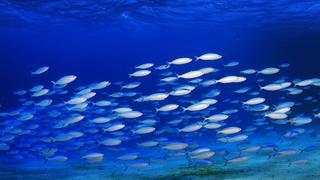 Yet concerns about proper management of wild fish populations play little part in the discussion of how we will feed a population of nine billion by 2050, according to Prof Manuel Barange from Plymouth Marine Laboratory. Deep sea mining is opening up a new era of industrialisation. The International Seabed Authority, based in Kingston, Jamaica, has been handing out permits for exploration beneath the high seas – for example to the Russian Federation – to look for cobalt-rich ferromanganese crusts within the Magellan Mountains in the Pacific. As with marine reserves, which will be needed in the high seas too, the costs of regulating and planning these activities are new and need to be carried by the world’s treasuries and conservation organisations.